Begin your journey in Mumbai by visiting the Chatrapati Shivaji Terminus, one of the world’s most magnificent railway stations and a UNESCO World Heritage site. If you feel like having a laidback day, head on to Girgaon Chowpatty, Juhu and Aksa where you can relax by the sandy beaches while you watch the world go by. It is a must to try Mumbai’s street food like the vada Pav, Pav bhaji, Pani puri and many other local delicacies. The Gateway of India is a monument built during the British Raj in Mumbai (formerly Bombay), India. It is located on the waterfront in the Apollo Bunder area in South Mumbai and overlooks the Arabian Sea. The structure is a basalt arch at 26 metres (85 feet) high. It lies at the end of Chhatrapati Shivaji Marg at the water's edge in Mumbai Harbour. 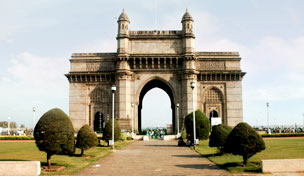 The Gateway has also been referred to as the Taj Mahal of Mumbai, and is the city's top tourist attraction. Juhu is a suburb of Mumbai. 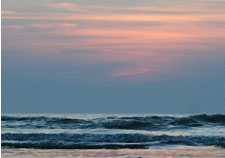 It is most famous for the long Juhu beach. It is surrounded by the Arabian Sea to the west, Versova to the north, Santacruz and Vile Parle to the east and Khar to the south. Juhu is among the most affluent areas of the city and Bollywood celebrities have been known to make the beach their home. Crawford Market is one of South Mumbai's most famous markets. It is named after Arthur Crawford, the first Municipal Commissioner of the city. 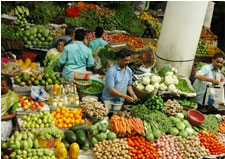 The market is situated opposite the Mumbai Police headquarters, just north of Chhatrapati Shivaji Terminus railway station and west of the J.J. flyover at a busy intersection. The market houses a wholesale fruit, vegetable and poultry market. One end of the market is a pet store. Different varieties of dogs, cats, and birds can be found in this area. The Elephanta Caves are a network of sculpted caves located on Elephanta Island, or Gharapuri (literally "the city of caves") in Mumbai Harbour, 10 kilometres to the east of the city of Mumbai in the Indian state of Maharashtra. The island, located on an arm of the Arabian Sea, consists of two groups of caves - the first is a large group of five Hindu caves. 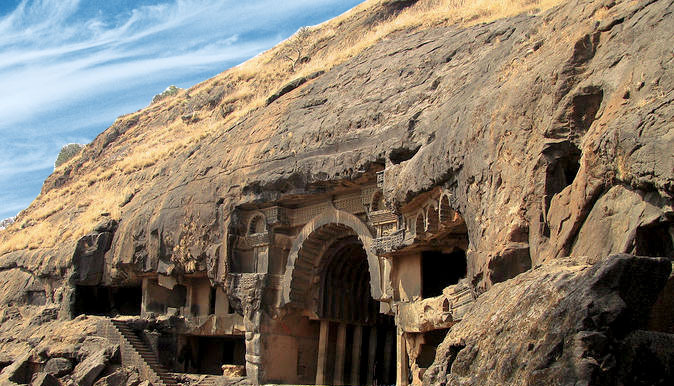 The Hindu caves contain rock cut stone sculptures, representing the Shaiva Hindu sect, dedicated to the god Shiva.